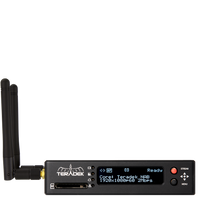 The Teradek RT Upgrade Program allows customers to trade in eligible Teradek RT products for credit towards the new Teradek RT devices. See what products are available for the upgrade below. Fill out the form and a Creative Solutions representative will be in touch to process your request. Hurry! Offer ends June 1st, 2019.